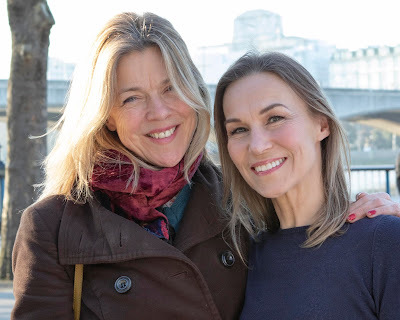 Stewart Permutt's new play is billed as a comedy and indeed director Tim Stark, interviewed in the programme notes as, describes the work as "very, very funny" The trouble is, it isn’t very funny at all. 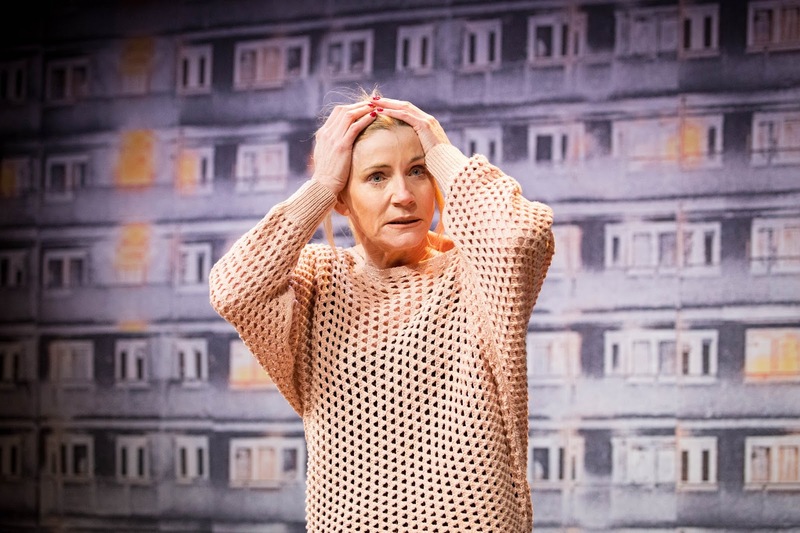 Michelle Collins is Gina - a warm-hearted woman who offers sanctuary in her Dalston flat to Joe Coen's much younger Gideon who's just been the victim of a violent assault. He's Jewish, she isn’t and with the sun having just set on a Friday evening and the Sabbath commenced, Gideon's religious commitment prevents him from using mechanised transport to get home, across town, to Stanmore. There are the makings here of an intriguing drama - and to be fair, Collins' gentle gentile Gina is one of the finest performances to be found on London's fringe. But Permutt's script, that reveals both characters to be struggling with mental health issues, alongside Gideon realising that there's more to life than suburbia and accountancy (and Mel Brooks explored that journey so much better with his creation of Leo Bloom) loses itself in a mass of cliché and un-believability. Coen makes the best of a terribly written role, while Collins delivers a superbly performed passion to her pain that is, on occasions, heartbreaking. As a one hour radio play and with some serious work still to be done, there could be some great potential to this yarn. But at just under two hours it’s too long and too underdeveloped.